Designed by Thomas U. Walter, architect of the dome of the Capitol in Washington, DC, the Chester County Courthouse was constructed as a Greek Revival temple in 1847. During a major interior remodeling of the courthouse in 1966, the Greek Revival interior woodwork was almost entirely removed and replaced with unrelated Colonial Revival style woodwork. After Five years of building vacancy, this project placed a district court in the building and at the same time recreated the monumental and understated Greek Revival interior woodwork of the 1847 building. 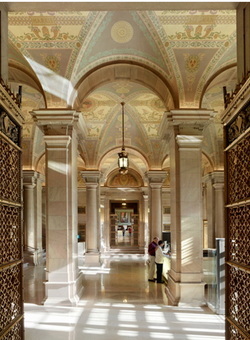 The original vaulted spaces of the first floor were re-exposed and lit with LED lighting, and the "Hall of Heroes" war memorial in the first floor center corridor was relit. Hibernia Mansion, as experienced today, is largely the work of Colonel Franklin Swayne, who between 1895 and 1910 modified and enlarged the house to create his image of an English country house. The earliest portion of the house was built as a farmhouse that was expanded to become the ironmaster's house for Hibernia Iron Works in the middle of the 19th century. Today, the main block of the house is a three-story museum with significant collections. When the decision was made to provide air conditioning to the main block as a way of stabilizing the interior environment for collections, the County of Chester decided to pursue a geothermal air conditioning system. Frens and Frens, LLC and its mechanical consultant, Advanced Engineering, Inc. were charged with the task of inserting air conditioning into the building without visible ductwork and equipment. We accomplished this goal for the first and third floors by placing air handlers and ductwork in the attic and cellar. At the first floor, floor registers are placed under cast iron radiators, so that their appearance is minimal and furniture layout is unaffected by the registers. At the second floor, min-split ducted units were placed in closets in the center of the building, so that the only visible features of the system are supply grills centered over the closet doors. At the exterior, the well field is placed in a parking lot, so that disturbance to site landscaping is minimal. 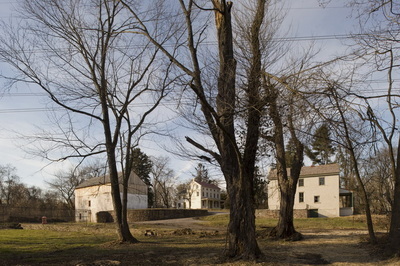 David Townsend, a prominent banker and noted botanist, built a 2-1/2 story Federal Style house in 1836 as a large addition to the 1768 farm cottage of Isaiah Matlack. 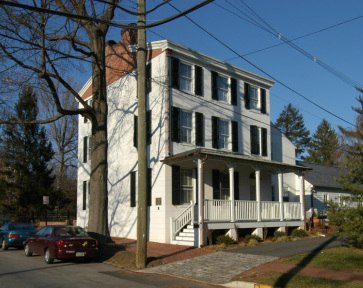 A wood frame addition was added to the rear in 1849 and a third story in 1874. 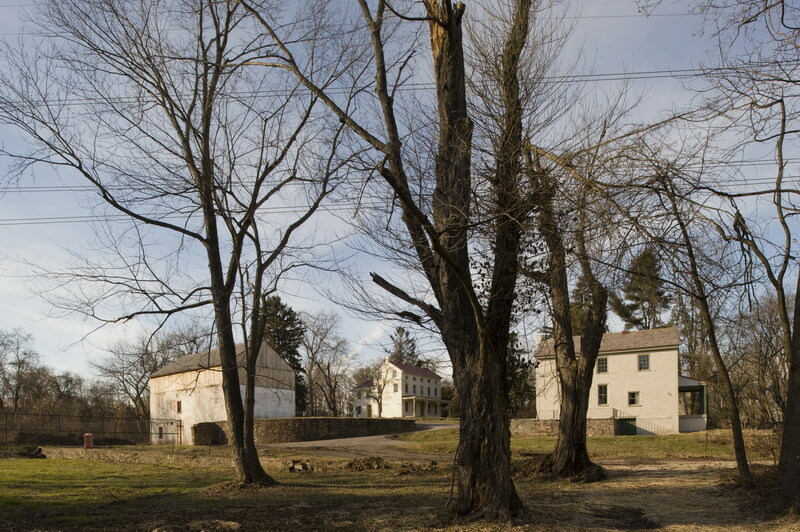 The 1836 house faced the railroad corridor to the south, with its side elevation along Matlack Street. 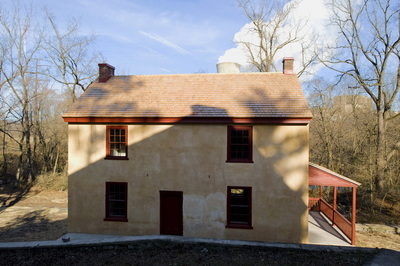 The exterior brick walls of the 1836 addition were faced with scored stucco to imitate ashlar stonework. 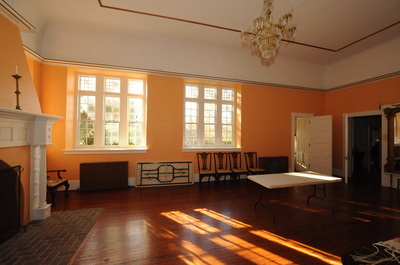 The plan of the addition was a side-passage plan with two large rooms flanking the hall on each floor. 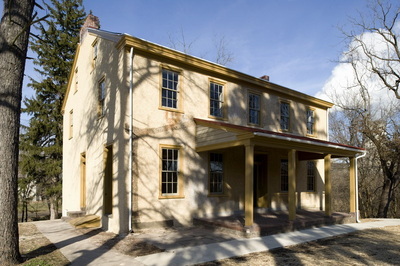 The earlier house served as the kitchen and service wing. The property was listed on the National Register in 1971, one of the earlier nominations in the county. 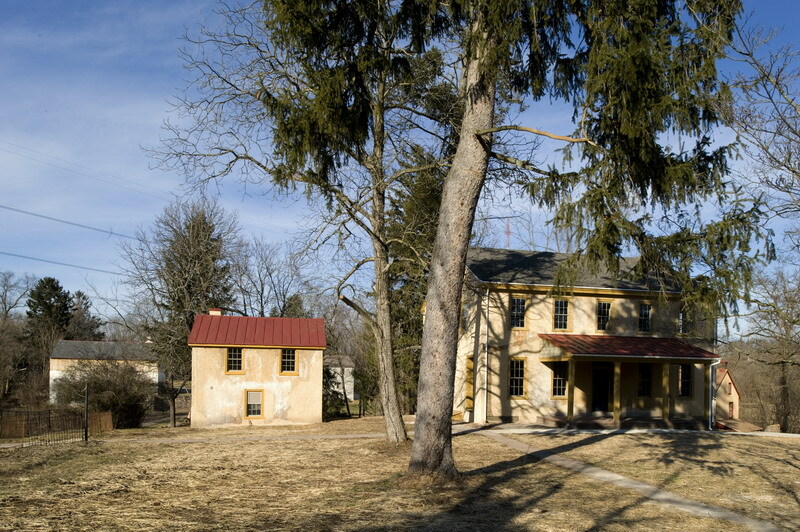 The Chester County Historical Society acquired the property and operated it as a house museum until lack of visitorship forced the Society to close the house museum and use the main house as a furniture collections storage facility and the early service wing as a rental apartment. 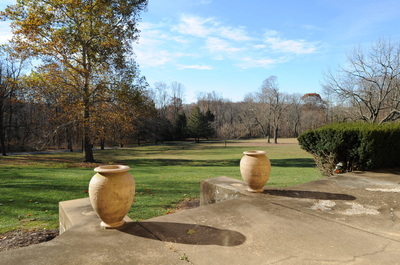 The property was acquired by George and Adriana Trajtenberg in 2002, who wished to expand the dwelling as a private residence and donate a conservation easement to protect the well-known garden. The design challenge of the house was to create a 6-bedroom house with attached 3-car garage without impacting the historical integrity of the house and garden. This was achieved at both the exterior and the interior. At the exterior, the new one-story family room addition and garage were built in a line along the south property line, with the driveway re-establishing the old railroad alignment. 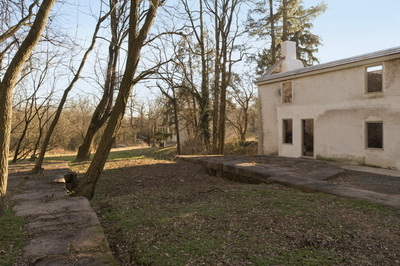 This one-story row buffers the garden from the town house development to the south and through the use of low walls and a slate roof, serves as the south closure of the garden. 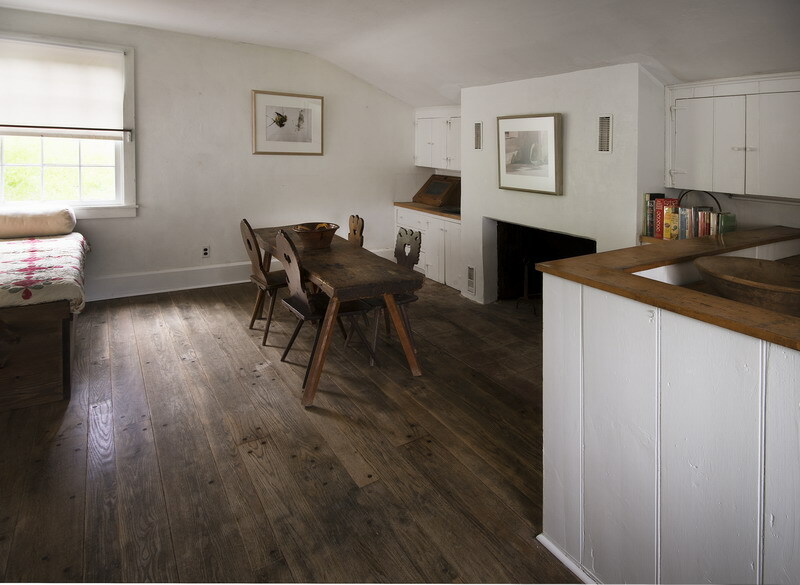 Inside the house, the original floor plan of the side-hall house is preserved at all floors. At the ground floor, the south porch was reconstructed and the main entrance door restored. Flanking the entrance hall are two parlors, each with their original Valley Forge marble surrounds and hearths. The kitchen was built in the 1849 wing, facing inwardly to the garden, and is connected to the family room, laundry, and garage. The ground floor of the 1768 cottage became a master bedroom suite, including an addition to the north that repeats the steeply-sloping shed roof form. 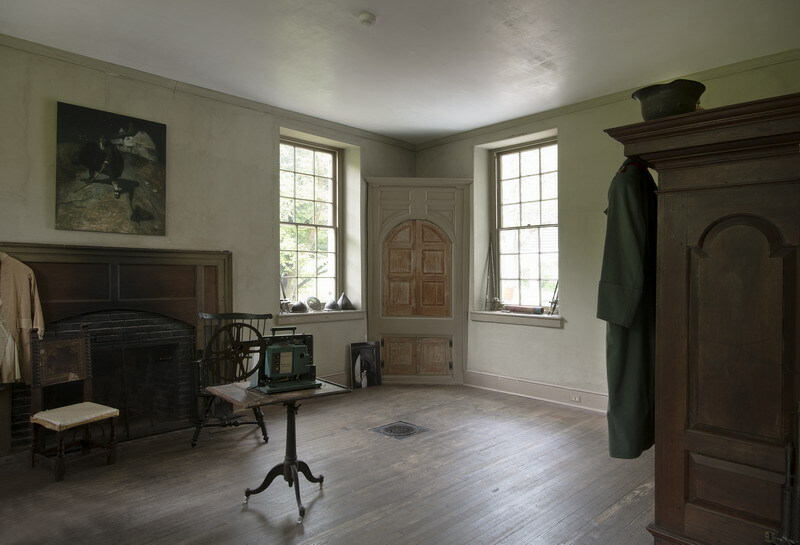 In the main house, the second and third floors repeat the floor plan of the ground floor, except at each floor a bathroom is constructed in foyer-end of the hall (a pre-existing condition at the second floor that was simply replaced and repeated on the third floor). Closets and vertical duct chases are concealed in each bedroom in a continuous row of paneled closets that back up to the hall. Because of the large size of the parlors and chambers above – nearly 16-feet square – the 2-foot loss for the closets and chases is unnoticed. 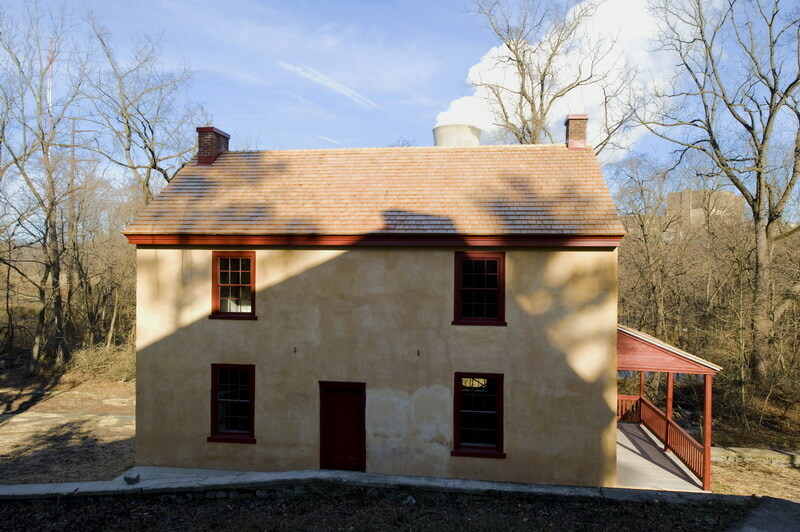 The Preservation Alliance for Greater Philadelphia has selected the Andrew Wyeth Studio, owned by the Brandywine Conservancy in Chadds Ford, PA, as an award winner for the 2014 Preservation Achievement Grand Jury Award. Built in 1875 and formerly known as “Birmingham Township School No. 2”, the studio where Andrew Wyeth’s famous paintings came to life for nearly 70 years was originally a remote one-room stone schoolhouse. 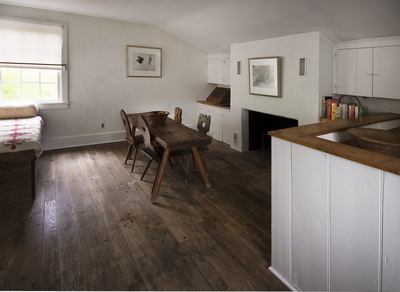 Wyeth painted in the studio from 1940 to 2008, less than a year away from the time of his death in January of 2009. 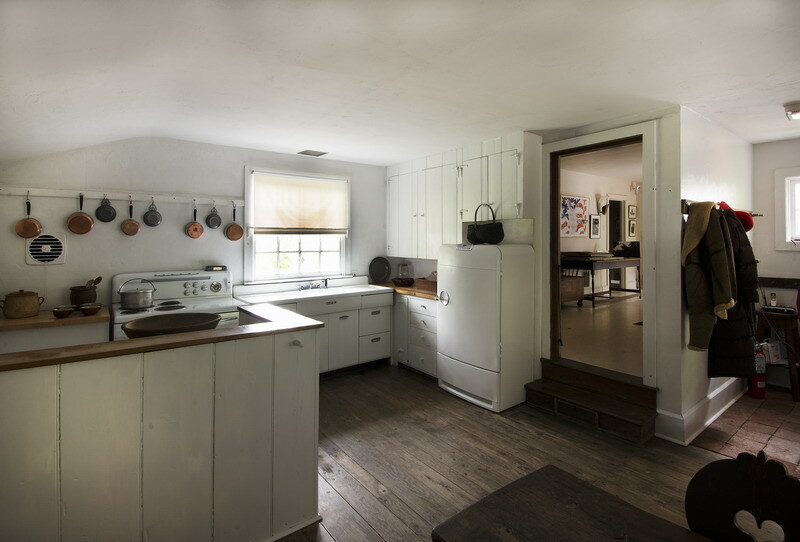 Purchased in 1925 by N.C. Wyeth, Andrew’s father, and used until 1940 by Wyeth’s sister Henrietta, newlyweds Andrew and Betsy Wyeth moved into the studio in October of 1940. 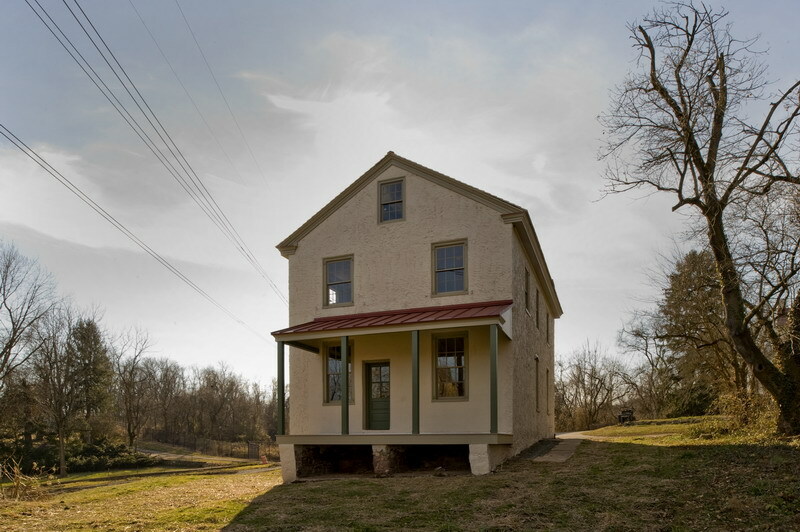 N.C. assisted with renovations to the schoolhouse with the intent of adapting it to use as a painting studio and home for the young couple. 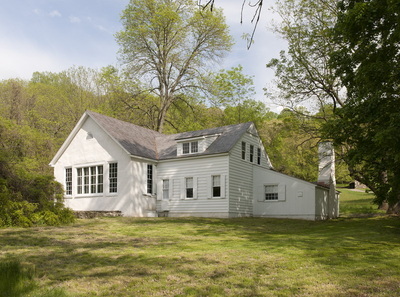 In the early 1950’s, the Wyeths undertook a major rehabilitation of the building, which included construction of the west wing that contained a kitchen, bathroom, and foyer on the first floor and bedrooms on the second floor, and the creation of a painting studio, living room, and library in the original schoolhouse. 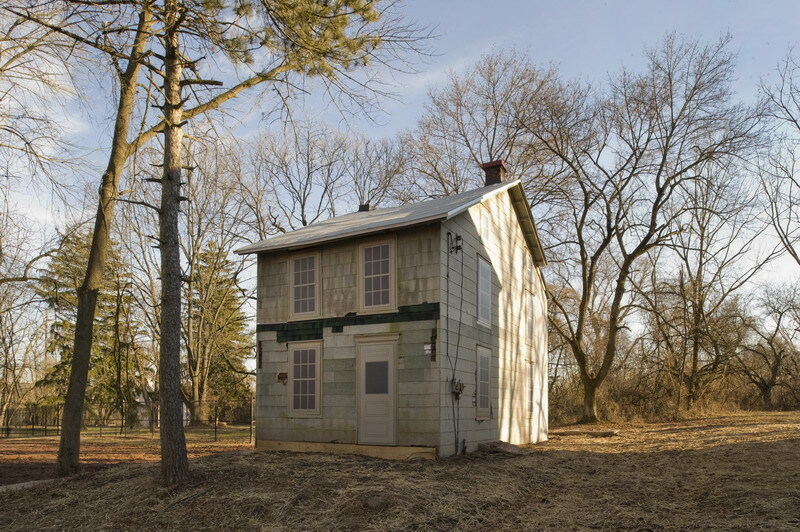 In 1961, the family eventually moved up Brandywine Creek to the Brinton’s Mill, although Andrew continued to use the studio for his creative works. 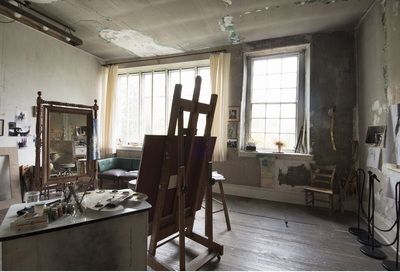 Andrew and Betsy Wyeth donated the studio to the Brandywine Conservancy in 2008, and in 2011 the Conservancy began a program of assessment and design for both the preservation of the studio and the collection of personal objects owned by the Wyeths. Collections included an extensive collection of cast lead soldiers, an art library, movies, furniture, props for paintings, and painting supplies and tools. Concurrent with the physical planning for opening the studio to the public in 2012, the Conservancy pursued National Historic Landmark designation for the property, a status already granted to the adjacent N.C. Wyeth House and Studio and the nearby Kuerner Farm. 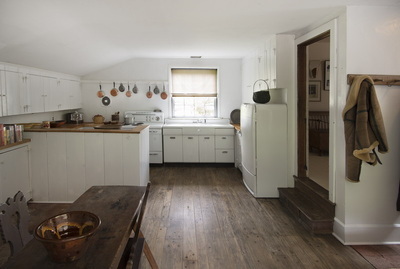 The innovative outcome of the NHL nomination process is the creation of an Andrew Wyeth National Historic District, to include the studio and the Kuerner Farm, approved in autumn 2013.
" The restored building is lovely, bright, and it maintains the Cass Gilbert glory. It is well detailed, restrained, and bold all at once." "The decisiveness of the new elements work well with the existing ones. The new reads clearly against the old." "The transformation of the interior stacks is fantastic; it provided the opportunity for a progressive intervention that is still sensitive to the host building. The canopy on the exterior, too, is modern yet sympathetic to the historic building. 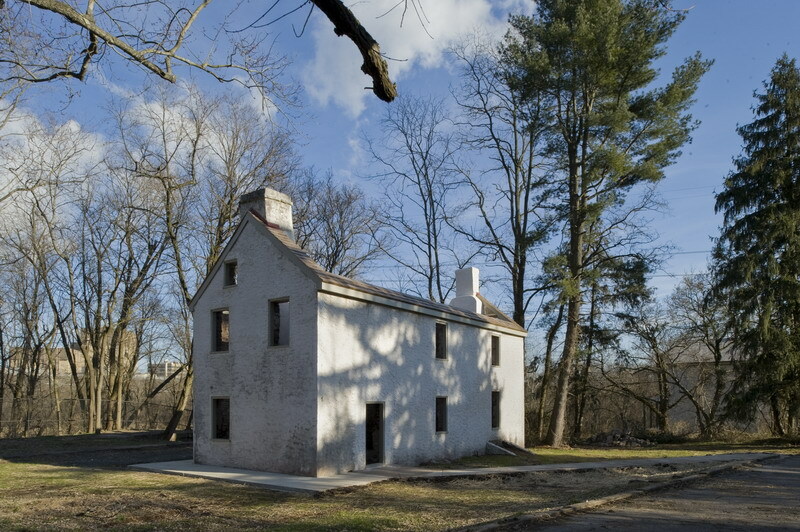 The original façade is very modest, and the renovation did not upstage that." Covered bridges played an important role in early America. At the beginning of the nineteenth century, when covered bridges became widely used, only three alternatives existed for spanning a creek or river: the arched stone bridge, a solid timber bridge, and a covered bridge. The arched stone bridge required no roof because the road deck was arched to drain to each end of the bridge, but was very expensive to build and limited in span. The solid timber bridge, which was limited in span to the length of a single heavy timber beam, had no roof because it relied on the size of timbers to resist rot for the short service life of the structure. For a simple timber-beam bridge, wide crossings could only be achieved by building piers in the riverbed. The innovative solution, which flourished during the first half of the 19th century, was the covered bridge. Covered bridges are heavy-timber structures comprised of a pair of trusses built into the sidewalls of the bridge, which support a floor between the trusses, and are protected by wall siding and a roof. 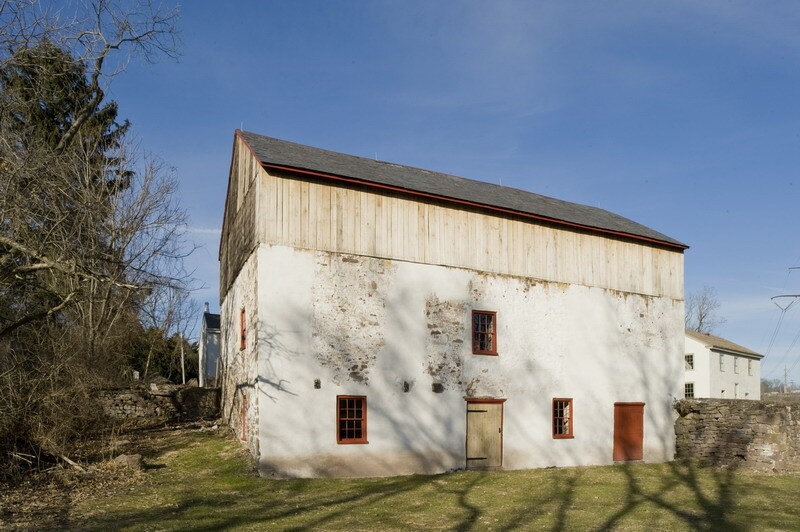 Utilizing truss technology that was widely used for barns and churches, local timber framers could build long trusses using local timbers and local tradesmen. Side walls and roofs were added to the trusses to protect the timbers from the weather. It is claimed that during the winter, snow was shoveled on to the bridge flooring to allow sleighs to pass over the bridge. 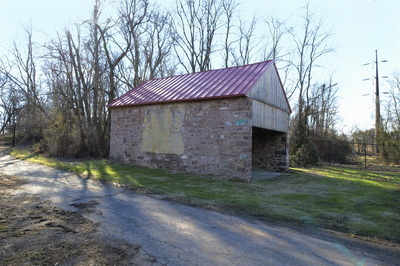 Covered bridges were largely replaced with iron bridges during the second half of the 19th century, but a small number have survived, including two in the Laurels Preserve. The Mary Ann Pyle Bridge, which is listed on the National Register of Historic Places, is the older of the two bridges at The Laurels Preserve, and is better preserved. The Hayes Clark bridge was largely rebuilt during the 1970s, at which time the original trusses were converted to simple-span beams by the stone pier that was built in the stream at mid-span. bridges and prepared drawings and detailed specifications for restoration of both bridges. Through a competitive bidding process, Frank Stroik Historical Restorations and William H. Shainline were selected as timber framers and restoration carpenters to restore the two bridges. Given the significance of the two bridges and their sensitive environmental settings, the work will be completed with the highest levels of craftsmanship and experience. 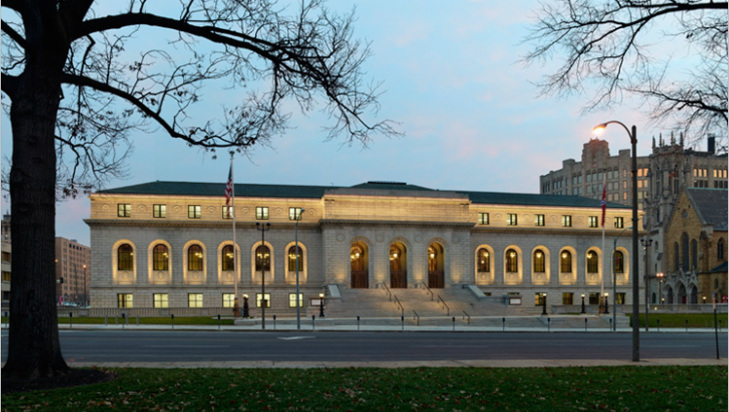 Frens and Frens, LLC was the Consulting Restoration Architect for the St. Louis Public Library - Central Library Expansion, which was presented with a 2013 National Preservation Honor Award on Friday, November 1, 2013 in Indianapolis, Indiana. The St. Louis Public Library restoration was also recognized by the Architizer A+ Public Award, a competition based on more than 135,000 public votes worldwide! 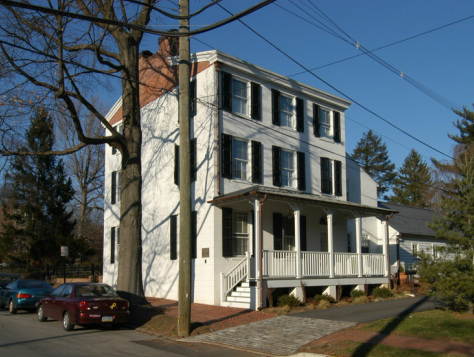 Dale Frens spoke at the 375th Anniversary of the New Sweden Colony on Sunday, November 10th in Newark, Delaware. 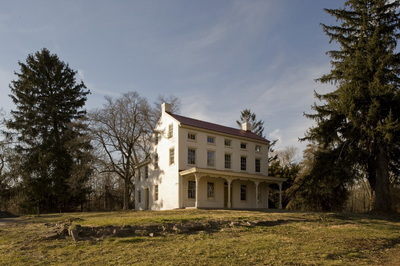 Dale’s talk, “The Morton Homestead: Architecture and Archaeology”, was part of a weekend long conference focused on the archaeological findings related to the New Sweden Colony. 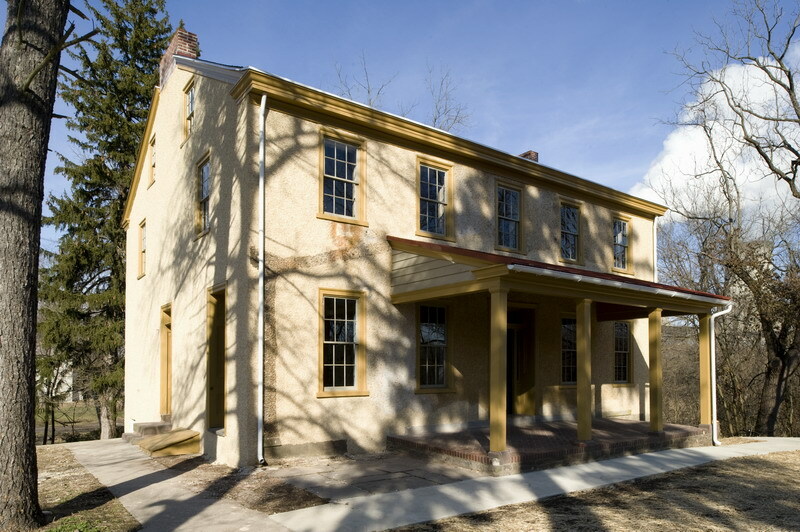 Frens and Frens, LLC is pleased to accept the West Chester Downtown Foundation's Historic Preservation Brick and Mortar Awared for the rehabilitation of (and addition to) the David Townsend House (225 N. Matlack St., West Chester Borough)! 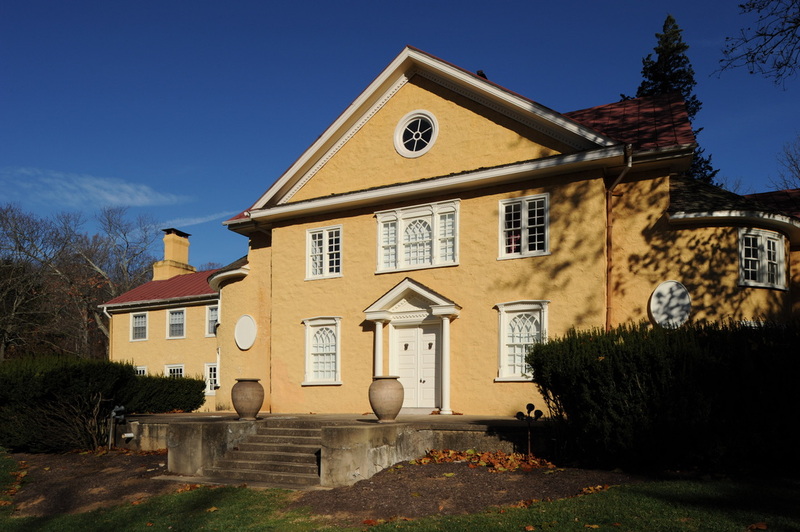 The awards reception was held at the Chester County Historical Society on Tuesday, October 22, 2013. 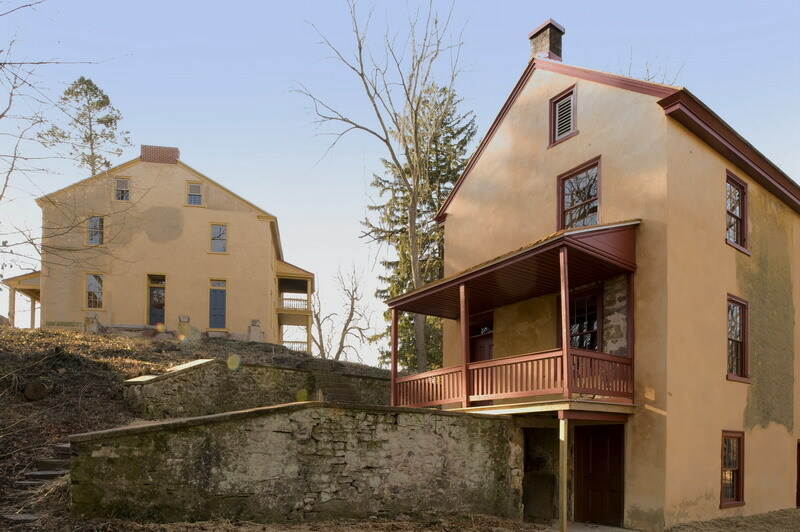 Frens and Frens, LLC, was pleased to accept awards from both Preservation Pennsylvania and the Preservation Alliance for Greater Philadelphia for the Rehabilitation and Mothballing of Buildings at Frick's Lock Village!